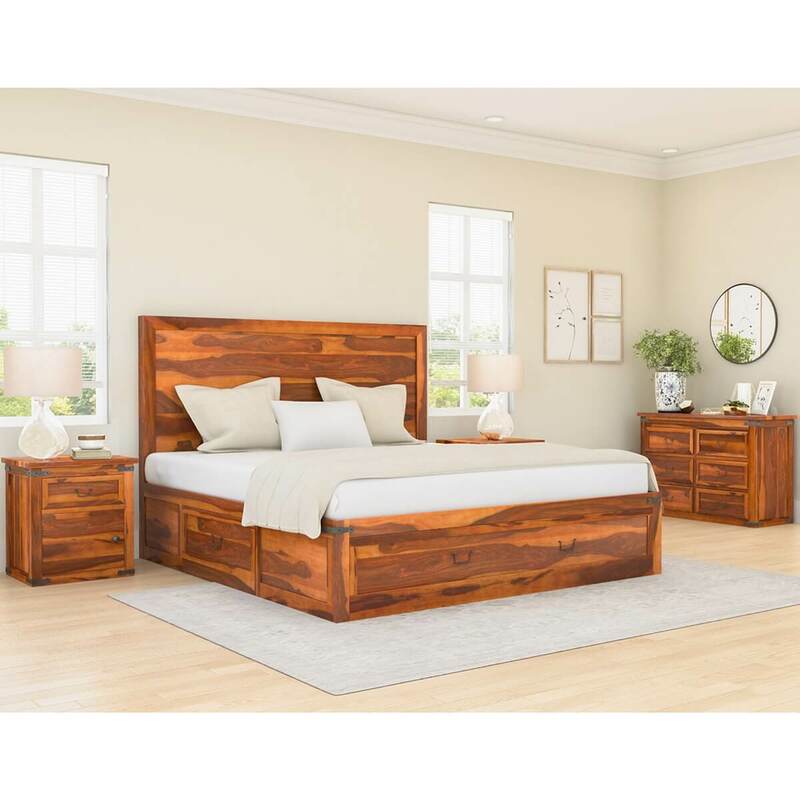 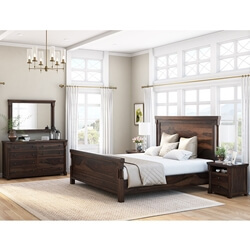 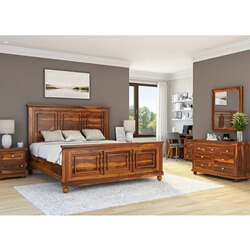 Enjoy expert craftsmanship and traditional quality with our Classic Shaker Solid Wood 4 Piece Bedroom Set. 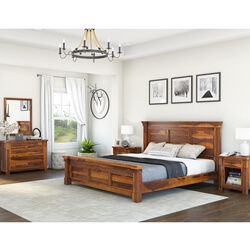 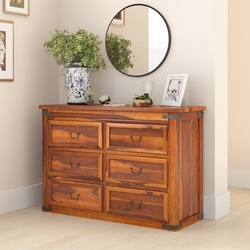 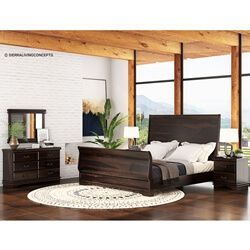 Create an instant bedroom with a complete set of matching handmade hardwood furniture. 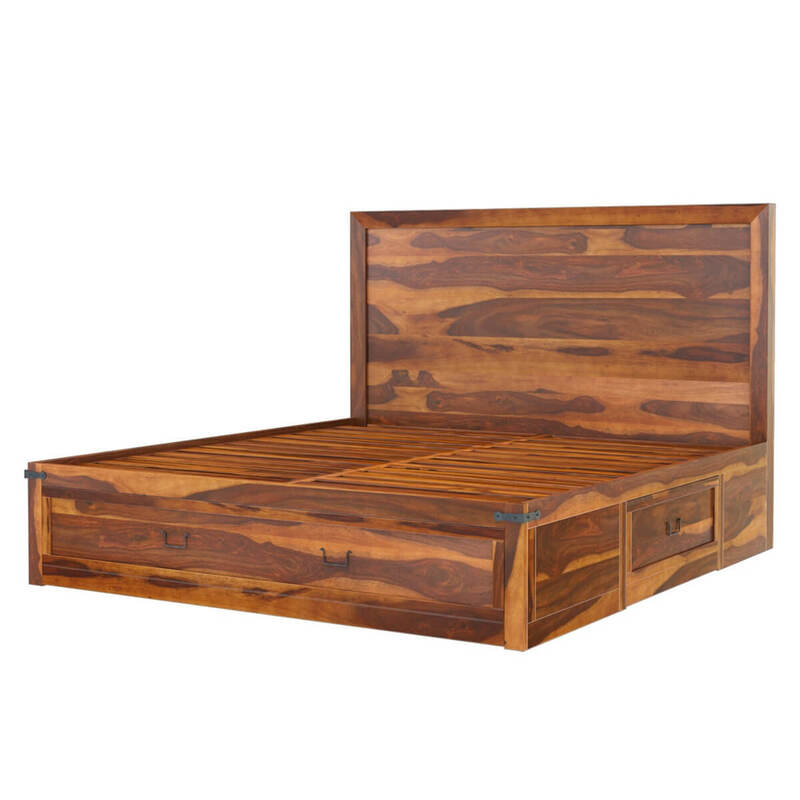 The Classic Shaker platform captains bed features an unadorned headboard and under the bed storage drawers. 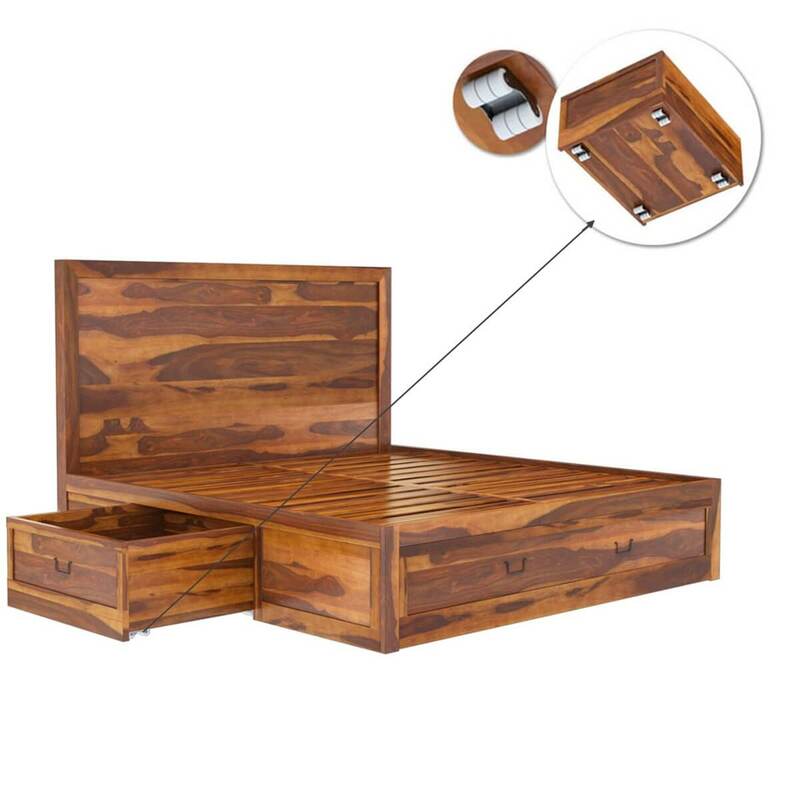 All the drawers come attached with sixer wheels at the bottom for easy access. 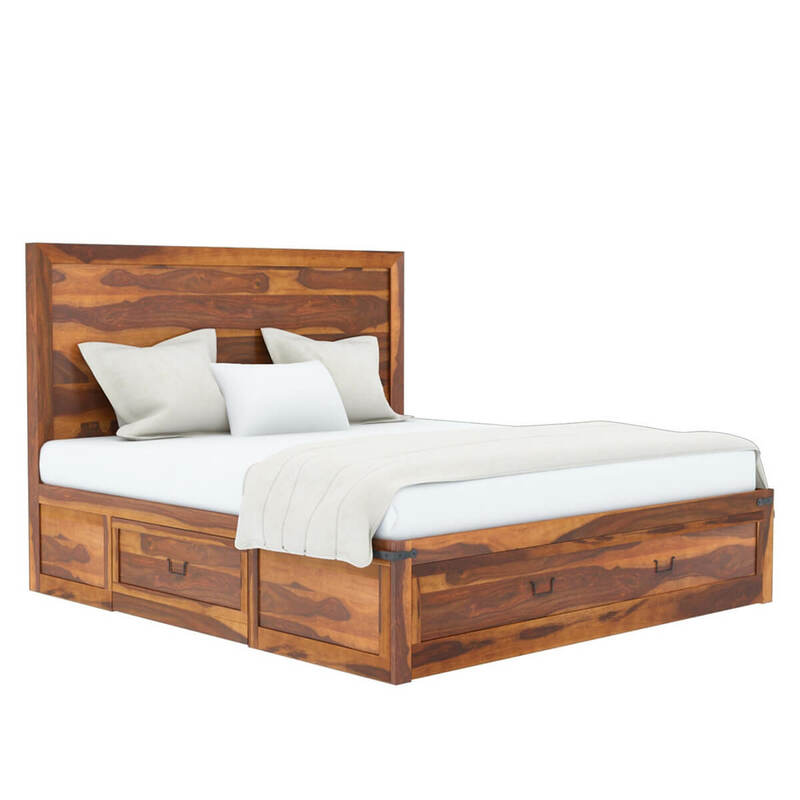 The bed is available in four sizes; Full, Queen, King, and California King. 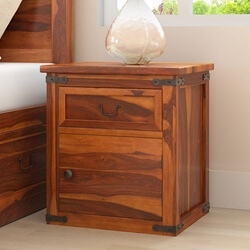 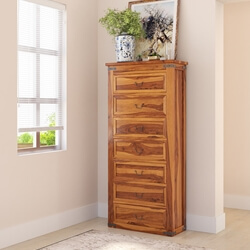 The bedroom suite also includes two matching nightstands with a top drawer and bottom cubby with a door and a six drawer dresser sits directly on the floor and gives additional storage to keep you organized throughout the week. 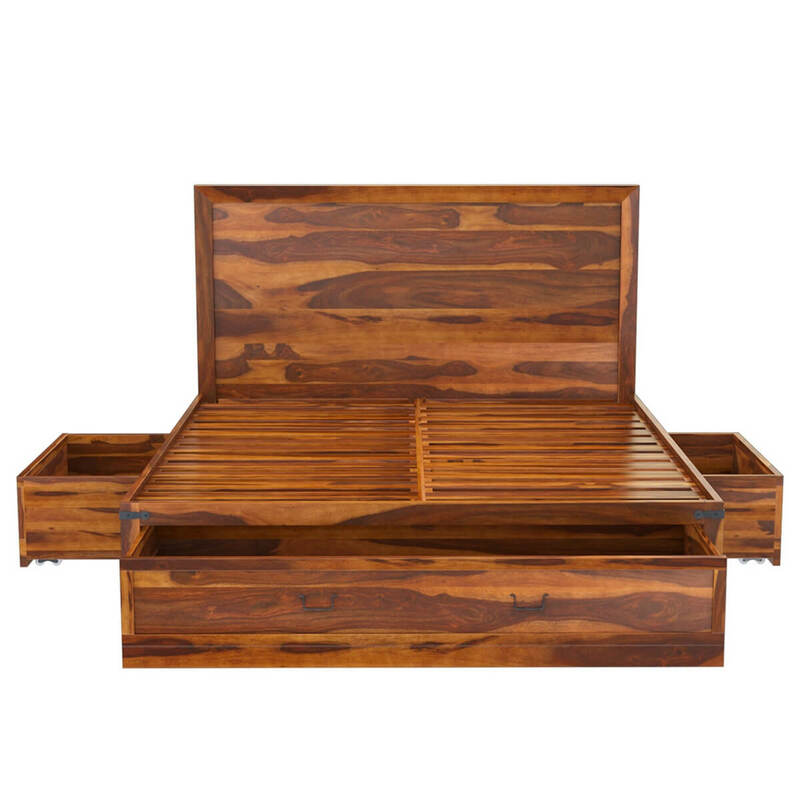 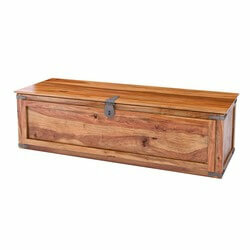 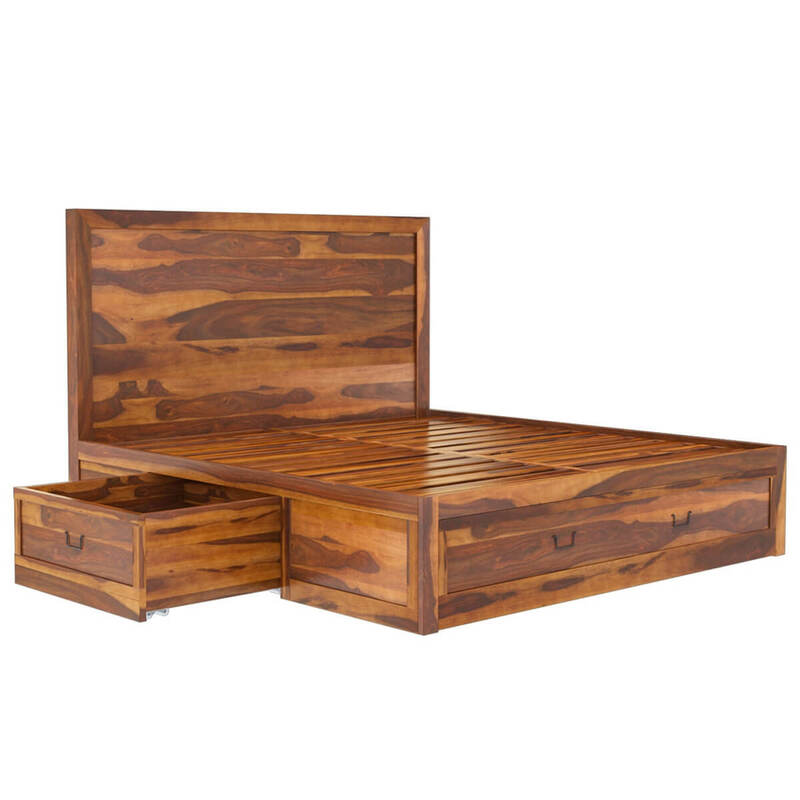 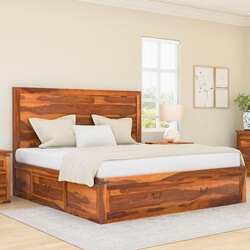 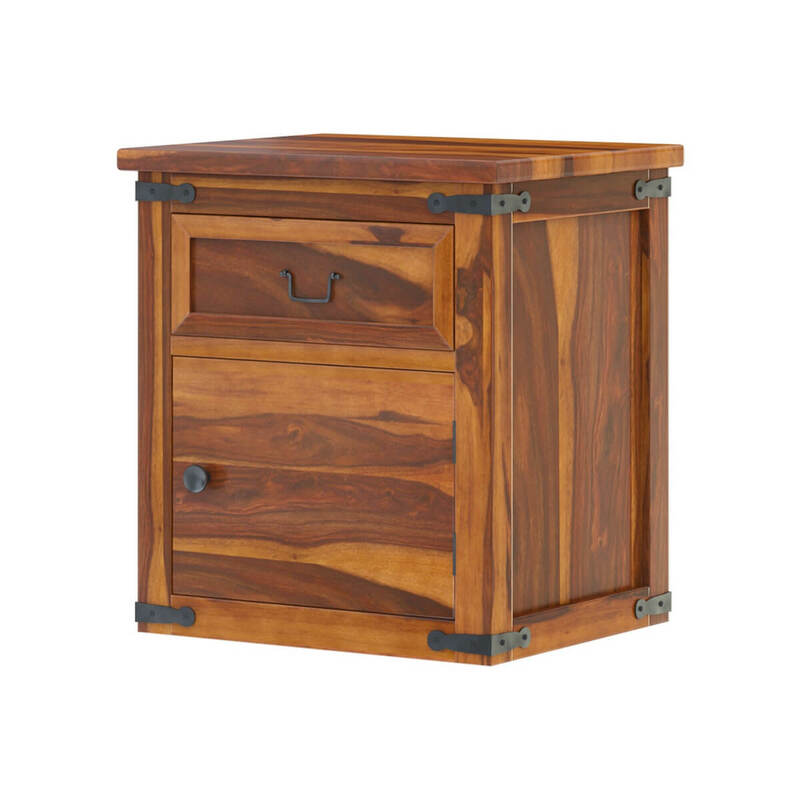 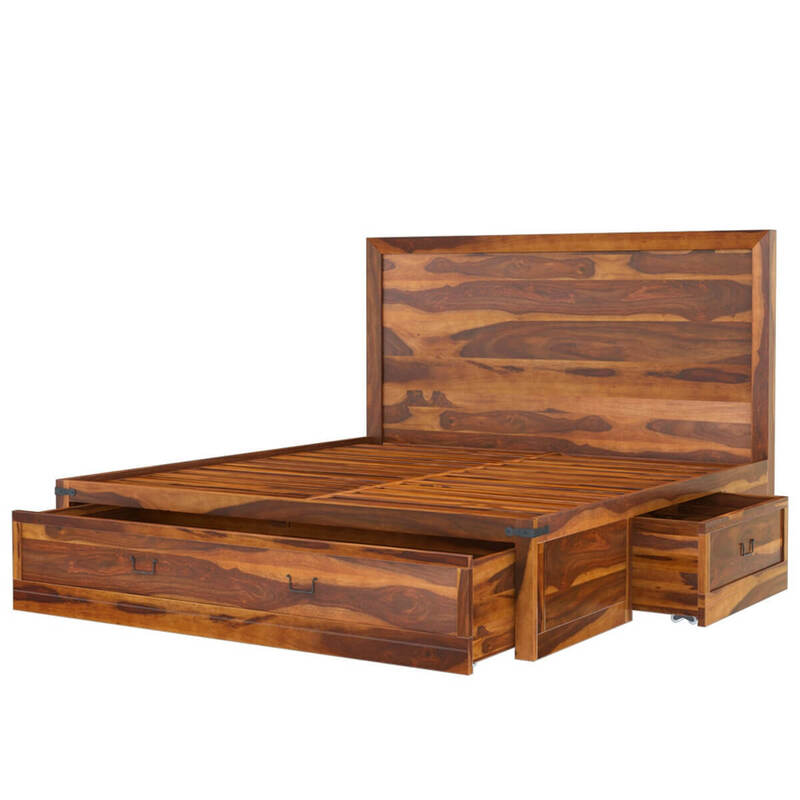 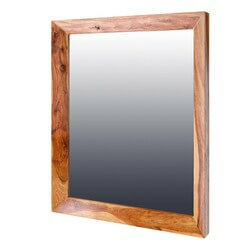 The collection is built with solid Indian Rosewood, a premium hardwood ideal for quality furniture due to its strength and durability.